Son of late John Gerald Fitzmaurice, Barrister-at-law. Married 1st (1912) Evelyn Mary (died 1914), daughter of Charles Threlfall. daughter of late Adm. Sir Day H. Bosanquet, GCMG; one daughter. Education: RN College, Dartmouth (01.01.1936-01.08.1939; Blake House; Admiralty No. 1604). Youngest son (with three brothers and two sisters) of Canon William Flannery (1869-1948), and Isabella Mary Macnamara (1865-1927). 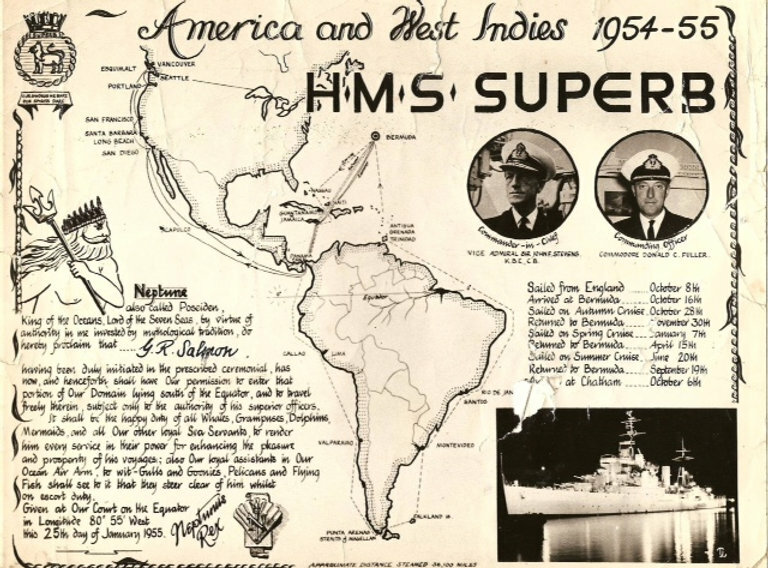 In 1937 he was commended by the Commander-in-Chief, Mediterranean, for his great coolness and efficiency in most trying circumstances when HMS Hunter was mined off the coast of Spain in May, 1937. Education: LRCPI & LM, LRCSI & LM 1929. Son (with one brother and two sisters) of Dr Robert Alexander Fleming, MD, and Eleanor Mary Holland (1876-). Married Cynthia ...; two sons. Son of ... Fletcher, and ... Sealy. One of nine children of Charles Fletcher and Kate Hawkins. Ruban de L'Amitié from the President of South Vietnam for aiding and transporting refugees from Haighon to Saigon whilst serving on HMS Warrior in 1954 (not officially recognised, so cannot be worn) Education: RN College, Greenwich. Re-employed by the Admiralty in Bath, doing the same job but as a civil servant. Did sea trials of ocean going tugs in 1968/69. He was doing an Open University degree in Economics/Politics. He died suddenly of a heart attack when he was away at a summer school. Oliver Charles Dickron Deodat Seropian (a.k.a. Charles Dickran Oliver Déodat Séropian). Only son (with one sister) Serope Biman Seropian (1865-1938), and Elizabeth Kathleen Foley (1864-1933), of Summer Hill, Nenagh, Ireland. Married 1st (04.07.1919, All Souls, Hampstead; divorced 1927) Hilda Marion Glanfield (21.09.1894 - 1994? ), elder daughter of Sir Robert Henry Glanfield (1862-1924), and Mabel Coles Baker (1868-1929), of Eaton Avenue, London NW. Married 2nd (11.11.1928, Calcutta, India; divorced 1947) Helen Rosamund "Anna" Birch (30.05.1896 - 03.06.1985), daughter of John Henry Birch (1854-1933), and Margaret Elizabeth Dodson Wrenford (1865-1953). Second son of James Forbes, of Colombo, Ceylon, and Mount Grace, Potters Bar. Married 1st (04.03.1909, St Columba's, Church of Scotland, Pont Street, London SW) Agnes Millicent Ewen (died 1915), younger daughter of John A. Ewen, JP, of Potters Bar; one daughter, one son. Married 2nd (1921) Marie Louise Berndtson, daughter of Axel Berndtson, of Stockholm, Sweden; one daughter. Education: Dollar Academy; Eastman's, Southsea. Youngest son (with two brothers and two sisters) of Lt.Col. James Stewart Forbes (1872-1957), and Feridah Frances Taylor (1883-1953). Married 1st (10.06.1950; divorced 1960) Lady Penelope Anne Rous (31.07.1932 - ), daughter of John Anthony Alexander Rous, 4th Earl of Stradbroke (1903-1983), and Barbara Grosvenor (1901-1977); two daughters, one son. Married 2nd (19.05.1961) Gunilla Ryman, daughter of Major Victor Ryman. Education: RN College, Dartmouth ("Hawke" Term; Admiralty No. 1307; ...-22.12.1936). Son (with two brothers) of Charles Hay Forbes, and Emily Fawkus Carrall. Married (07.06.1930) Edith Sheilah De Crecy Steel, daughter of Reginald De Crecy Steel (died 07.01.1951). Education: Nautical College, Pangbourne (1936-1940). Son of late Major C.W. Randle Ford, Bath. Married (1924) Violet, daughter of G. Hurry; two sons. Son of ... Fordyce, and ... Wall. Married Margaret Mary Frosr (1932 - ); ... children (one son?). Son of Harry Alexander & Marjorie Forrest. Son of Stephen Forrest, MD, and Maud M. McKinstry. Married 1st (06.09.1947) Patricia (died 1966), eldest daughter of Dr and Mrs E.N. Russell; two sons, one daughter. Married 2nd (1967) June (née Weaver) (? - 15.09.2012), widow of Lieut G. Perks, RN; one step son, one step daughter. President, Devon Co. Agricultural Association, 1990-1991. County Commissioner, St John Ambulance Brigade, Devon, 1976-1981, Commander, 1981-1987. Naval General Service Medal, 1949. KStJ 1987 (CStJ 1983). JP Honiton, 1978; DL Devon, 1985. Chevalier, Ordre du Mérite Agricole (France), 1990. Son (with one brother and one sister) of Edward Hugh Lisle Foster (1881-1959), and Sylvia Margaret Kemp (1880-1946). Son (with three brothers and one sister) of Henry Cotes Foster (1871-1953), and Helen Forbes-Robertson (1876-). Son of Harold T. Foster, and Charlotte A. Bowmaker. Married ((06? ).1945, Birkenhead district, Cheshire) Annie Nancy Cowgill; ... children (one son?). Son of Capt. Henry Maclean Fothergill, RN (1881-1963), and Lucie Bouverie-Pusey. Married (18.12.1920) Lucie Bouverie-Pusey; at least one son (Cdr. Christopher Henry Fothergill, RN). Son of Alexander Grant Russell Foulerton, OBE, FRCS, DPH (1863-1931), and Jessie Blanche Wakeley (1866-?). Son of Frederick Ferrers Conant Fowke, and Edith Frances Rawdon. Married (11.10.1924, Stockport district, Cheshire) Elsie Emily Ada Lambe (21.03.1901 - 08.1991), daughter (with two brothers and one sister) of Edward George Lambe (1869-1958), and Susan Elizabeth Gregory (1870-1959); ... children (two sons?). Son of Gerald Fox (1865-1947), and Beatrice ffoulkes Cornish-Bowden (born 1878). Cousin of Cdr. (S) William Karslake Cornish-Bowden, RN, Lt. Edward John Cornish-Bowden, RN, and T/Lt. (E) John Ambrose Cornish-Bowden, RNVR. Son of William Augustus Lane Fox-Pitt, and Lily Ethel Payne. Married (1930) Marjory Hope Barton; at least one daughter. Secretary of the Anti-Slavery Society. Son of James Thomas Frame, Regimental Sergeant-Major Royal Horse Artillery, and Mary Williams, nurse. Married (01.04.1939) Eda Cook, dental receptionist; two sons. Son of Charles France, labourer [according to marriage certificate], and Eliza Alice France (1869?-1886), domestic servant [according to birth certificate, where no father is given]. Married (20.11.1910, St Philip The Apostle (Mission) Church, Dewsbury, West Riding of Yorkshire) Lucy McDermott (1888-), daughter of Hugh McDermott, plasterer; two sons, one daughter. Entered the Navy 24.05.1904. He was a telegraphy specialist. Was serving in Vernon on the outbreak of hostilities in August 1914, but transferred to the submarine service in the following year (06.09.1915). And on 10.03.1917, he joined HMS K. 2. From July 1917 until March 1919, France served in the 13th Submarine Flotilla’s HMS Crescent. During the inter-war period he served aboard several battleships and cruisers but was also attached to the Titania, depot ship for the 4th Submarine Flotilla on the China station, during the China Emergency in 1927. Appointed to British Postal Service as wireless operator, 12.1935. Married (1939) Ruth Elinor Stewart (née ...) (died 1994); one daughter (died 1971). Education: Horton School, Biggleswade; RN College, Dartmouth (1921-1925). Keen sportsman. Founder member of the Royal Naval Sailing Association, 1935. Retired to Dorset where he hunted regularly, farmed pigs and sailed his 30 ft sloop Peter Rabbit from Poole. Son of ... Franklin, and ... McKenzie. Son of George Cooper Franklin, MBE, JP, LLD (Hon), FRCS (1846-1919), surgeon, and Lucy Hannah Denne. Brother of Bt.Col. George Denne Franklin (1877-1946), CIE, OBE, JP, Indian Medical Service, making him uncle of of S.Lt. 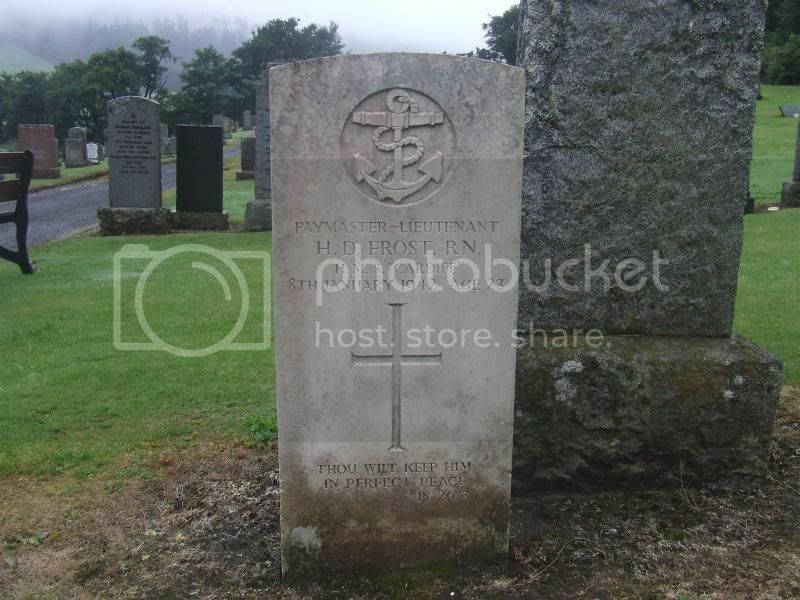 (A) Lionel Cooper Franklin, RN and of Lt. Henry George Franklin, DSC and Bar, RNVR. Married Helen E.C. Franklin (née ...). Son of Bt.Col. George Denne Franklin (1877-1946), CIE, OBE, JP, Indian Medical Service, and Ethel Janet Carver (1877-1964), of Aldeburgh, Suffolk. Brother of Lt. Henry George Franklin, DSC and Bar, RNVR. Nephew of R.Adm. Harold Gordon Cooper Franklin, RN. Son of ... Franks, and ... Acklom. Married Jane (predeceased him); three sons. Married 1st ((03? ).1915, Portsmouth district, Hampshire) Edith M. Palmer (died); ... children (son Capt. Ernest John Frary, Middlesex Regiment). Younger son of Gen. Alexander Fraser, CB, late RE (1824-1898), and Monica Stores Smith. Younger brother of Lt.Col. Cecil Fraser. Education: Bradfield College; HMS Britannia (1902); RN College, Greenwich; Hon. DCL Oxon 1947; Hon. LLD Edinburgh 1953; Hon. LLD Wales. * Set back in seniority as a result of a court-martial about the loss of HMS Oswald. Executive Officer of HMS Worcester after retirement in the 1950s. Second son (with five sisters and one brother) of William Carlile Fraser (1861-1911), and Elizabeth Agnes Theobald (1869-1908). Son (with two sisters and four brothers) of Ernest Freeland (1876-1974), and Caroline Grummitt (1881-1925). Married 1st ((06? ).1943, Bromley district, Kent) Norah E. Flux ((09? ).1923 - (03?).1944). Married Edna Maud (died 27.05.2006, aged 93), widow of Capt. James Richard Lyddon, RAC (died 1940), and daughter of Albert John Tweed Cusselle, of Dartford, Kent. Portsmouth, 1967-1969. Commander-in-Chief, Naval Home Command, 1969-1970. Principal Naval ADC to the Queen, 1968-1970. Elder son of late Herbert Freyberg, FSI, and Mrs Freyberg, Gray's Inn Sq. Married (1909) Kathleen May (died 1959), youngest daughter of late H.J. Nicholls, Dolgelly, N. Wales; one son. Son of Cdr. William Francis Edward Fryer, RN (1894-1964), and Bertha Jealous, of Thong House, Shorne, Kent. Younger son Adm. Sir Cyril Thomas Moulden Fuller (1874-1942), and Edith Margaret Connell. Changed name by deed poll of 13.08.1949 to Donald Hamilton Connell-Fuller. Married (10.08.1935, St Martin's, Welton) Ruth Henrietta Garrard, twin-daughter of Maj. & Mrs S.H. Garrard, of Daventry, Northamptonshire; ... children (four sons, one daughter?). Son (with one brother) of Edward Fleetwood Fuller (1878-1914), and Margaret Olive Argles (1873-1944). Son of Admiral Sir John Reginal Thomas Fullerton, GCVO, CB, and Sarah C. Fullerton. Married (1908) Hon. Dorothy Sibyl (1873-1962), 2nd daughter of 1st Lord Fisher; one daughter. * Was in charge of the two Monitors, and conducted the operations in the river with complete success (operations against the Königsberg).